Let's know Vape Pens Better! Vape or vaporiser pens are a popular choice for people who are switching from the traditional cigarettes. It is a pen-shaped e-cigarette starter kit which requires e-liquid to top it up. Vape pens are quite easy to use. Unlike the consuming traditional cigarettes, consuming vape pens is significantly healthier. For a vape pen to produce vapour, e-liquids are used. All these products can easily be purchased from Vape Stop as we have stocked the best array for you to choose from. Moreover, our collection of vape pens is bound to stun you, as it's grandest among the Indian market. What is the difference between Vape Pens and Cigarette-style kits? A cigarette-style kit looks similar in appearance to a traditional cigarette and requires cartomizer refills. A cartomizer refill is attached to the bottom of the battery of the e-cigarette. These refills are available in a vast range of flavors, including the likes of vanilla to menthol. 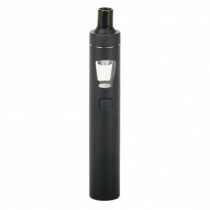 On the other hand, vape pens are slightly larger in size and have a transparent chamber into which e-liquid is poured. Another interesting aspect about vape pens is that you can try different flavors of e-liquids and taste unique flavors with varying strengths. Our range of vape pens starter kits is so wide that it is bound to impress you. We cater top-rated vape pen brands in absolutely stunning designs. They are sleek in shape and light-weight to carry, which makes our vape pens very handy. To match with your eclectic tastes perfectly, our vape pens come in classic as well as vivid hues. So, wait no more and pick your authentic favourite vape pens from Vape Stop today!